Katie Price and Kris Boyson have officially split amidst claims that she cheated more than once whilst on holiday. She has quickly moved on with a new love which has left Boyson devastated. Just a few months ago she famously credited 29 year old Kris for ‘bringing her back from the brink,’ after her split from her long-time partner and husband and father to two of her children Kieran Hayler. The model and Loose Women presenter revealed that their five-year marriage came to end because she caught him cheating again – with a 19 year old girl who worked in the local co-op. This time, it was the final straw for Price. Around 3 weeks ago, cracks started to show in the relationship when Katie began having wild nights out without Kris. “She was going out all night and not messaging me until she got home at 2am. I started to think something was up,” claims the saddened 29 year old. On 22nd August, Katie was pictured holding hands with wealthy Essex businessman Alex Adderson 25. Kris said: “That day she was apologising and begging me to take her back. She wanted me to give her another chance and said she had just had dinner with him. Kris says: “As soon as we got back things weren’t right. We flew back on the Tuesday together and she said, ‘Love you loads’. “I said, ‘Love you too and I will speak to you later’. “And I didn’t speak to her until midnight that night. And then the next day she flew out to Marbella for a hen do and I knew he was out there all along (Alex Adderson). Two days later I text her saying, ‘I’m in love with you, I want to have kids with you, we’ve got so many plans ahead’. “But she never responded. That’s the last time I messaged her. On September 1, 2018, Kris split from Katie after around five months of dating. He told fans: “This wasn’t an easy decision for me to make, however Katie Price and I are no longer together. Kris has lost a stone in weight due to the stress of the split and has been suffering with panic attacks reveals his Jeweller pal in London’s Hatton Garden who was making an engagement ring for Price. “And I was like, ‘Yeah, that’s why I’m in this relationship’. I’m serious and I’m fully committed. It’s tough because I was set on that.” Kris was so convinced Katie was The One he was getting an engagement ring made. Kris says that he is worried about Katie’s behaviour and believes that her unpredictable behaviour and partying ways is due to the pain of 3 broken marriages. Perhaps she is too interested in partying to ever settle down again. “The reality was we drifted apart because I was stopping her drinking,” he said. “I was making sure the kids were put first, and that she came across well. Kris goes on to talk about how much money Katie was spending weekly on toys for her five children despite her growing money troubles. Katie was given three months to sort out her finances after narrowly escaping bankruptcy this summer. The cash strapped star has been selling off her beloved animals and her pink horse box and even faces losing her mansion in West Sussex. He said: “When I see her now, I feel for her, she is clearly not well. She isn’t in a right head space. I just feel like something is not right and she is struggling with something. Does Kieran think that she will ever be faithful again? Kris thinks: “Maybe if the person she was with was offering her exactly what she wants then yes she could,” he said. “But with me she sure as hell wasn’t”. 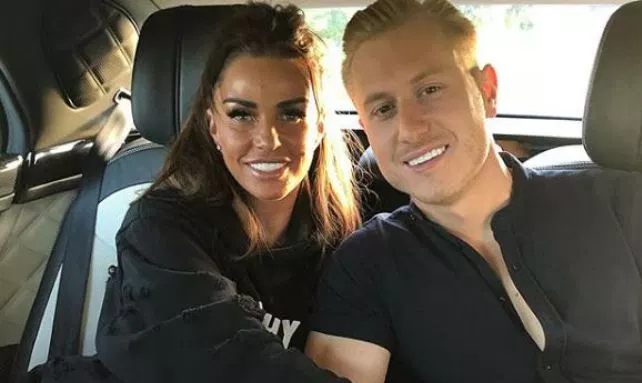 Who is Katie Price’s new boyfriend Alex Adderson? It has been revealed that Katie was cheating on Kris Boyson with high flyer Alex Adderson. The former glamour model met the minted businessman through mutual friends just a few weeks ago and it is said that the pair hit it off straight away. They were later pictured leaving The Blue Boar in Abridge, Essex holding hands. The Essex business classes members of TOWIE as his friends and his Instagram page boasts many shirtless snaps of his muscly physique. ooking as if he’s always never off holiday, he was recently seen flaunting his muscle-bound body on a lads’ getaway with reality star Sam Mucklow.